During my first session with Marion Rosen, the founder of Rosen Method bodywork, I felt as if a gateway had opened within me. I became aware of a profound proprioception, felt sense, that allowed me to have a total inner focus. Her touching me with reverent presence allowed my gentle inner unfolding and her quiet words led the way. This was not an inquiry into my mind, but a signal to my body and my unconscious knowing. Her softly spoken “un-huh’s” were like the breadcrumbs Hansel and Gretel strew along the path so they could find their way home. I made a second appointment because something had truly shifted within me. and I was curious. I wanted to know more. Right then and there! I asked her to teach me her work, I was ready to learn from her, but it was two years later before she began teaching. I readily accepted Marion’s invitation to join her first class. Meanwhile I continued to receive sessions from Marion and to learn more about myself. I studied with Marion and learned from her at any opportunity for over 35 years until her passing and during those early years I earned a Master's Degree in Somatic Psychology. Sandra began her studies with Marion Rosen in 1978. In 1983 she incorporated the Rosen Institute, which is now the governing body for Rosen Method worldwide and was the founding president of the Board of Directors. 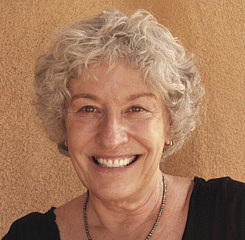 In 1986 she began teaching in Santa Fe, New Mexico, and in 1990 founded the Rosen Method Center Southwest. She has a private practice in Rosen Method Bodywork in Orinda, CA. She has published several articles and a book on Rosen Method bodywork. Since 1984 Sandra has taught Rosen Method bodywork and movement in the United States, Europe, Scandinavia, and Russia. Currently, as founder of the Rosen Method Center Southwest, Sandra regularly teaches workshops in Rosen Method bodywork for individual personal growth, professional certification, and continuing education. Sandra is also on the faculty of the Milton H. Erickson Institute of the Bay Area, Berkeley, and lectures at conferences and academic symposiums.